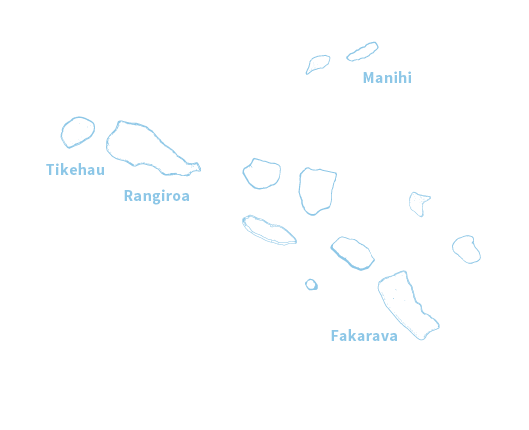 An extraordinary adventure onboard the passenger, freighter cruiser Aranui 5 is a great way to discover these islands. From one bay to another, sailors unload goods to the local people eagerly awaiting the arrival of the famous South Seas cargo ship. 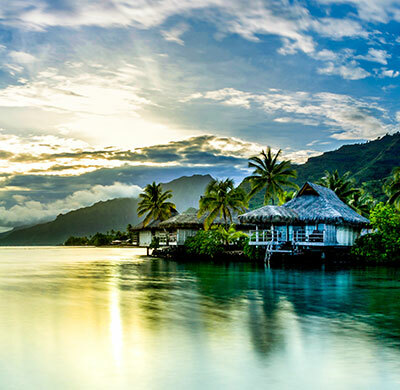 In the meantime, passengers explore the natural and cultural discoveries of every island where they are warmly greeted by the Marquesans. 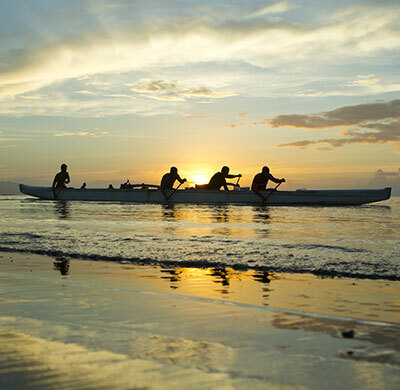 Getting to and around the Marquesas is a unique experience in itself. 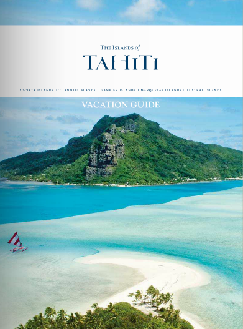 Air Tahiti provides non-stop service from Papeete to Nuku Hiva with a 3-hour 45-minute flight seven days a week and to Hiva Oa with a 3-hour 50-minute flight five days a week. Continuing flights connect Nuku Hiva to Hiva Oa with several weekly 50-minute flights. 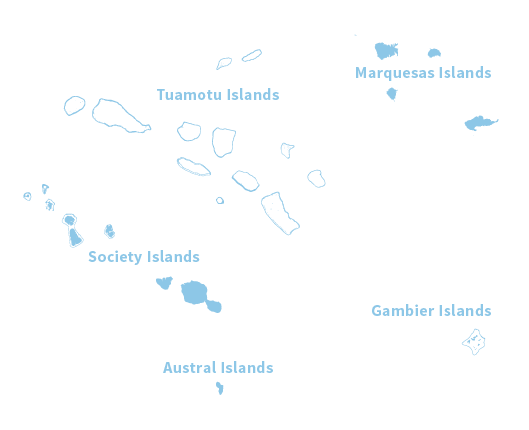 Several inter-island vessels are in operation. Always an adventure, travel to and from the airport should be arranged by your Preferred Travel Professional or by your hotel. Depending on road conditions and your choice, airport transfers can either be by boat, 4X4, truck or horseback. 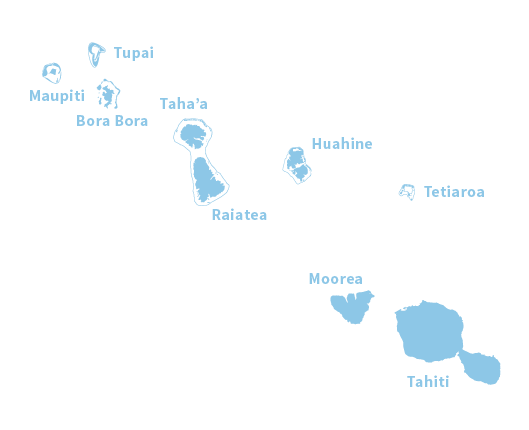 Travel around the islands requires planning as well. Although 4×4 rental vehicles are available, it is advisable to hire a guide to negotiate the steep, rugged, and unfamiliar roads occasionally used by herds of wild horses. Around the islands, motorboat rentals offer an enjoyable way to explore the dramatic bays and shoreline. Maximum capacity: 256 passengers. Length of voyage: 14 days. frequency: 17 voyages/year. Meals served on board and ashore + excursions. places in dormitory class “C”. Brand new, the Aranui 5 can welcome more passengers for more comfort with 32 suites with balconies, 31 cabins “A” Luxury with balcony, 40 standard cabins, 3 cabins for disabled, 24 places in dormitory class “C” and new infrastructures to enhance the cruise: a spa, gym, lounge, 3 bars, a panoramic bar and 2 conference rooms.